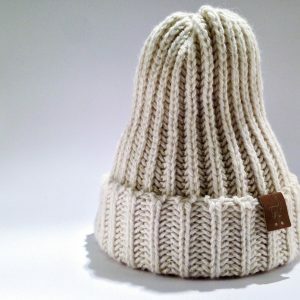 Our smaller beanie hat is the perfect piece to add a bit of luxury alpaca knitwear to any outfit. Stay warm and cosy with our 100% alpaca blended DK knit. You can choose between white, grey and black. Please select an option before adding to basket. Yarn is spun in Cornwall and the knitwear is manufactured in Nottingham only a couple of hours from the farm we keep our alpaca herd. Hand finished details and your choice of colour.